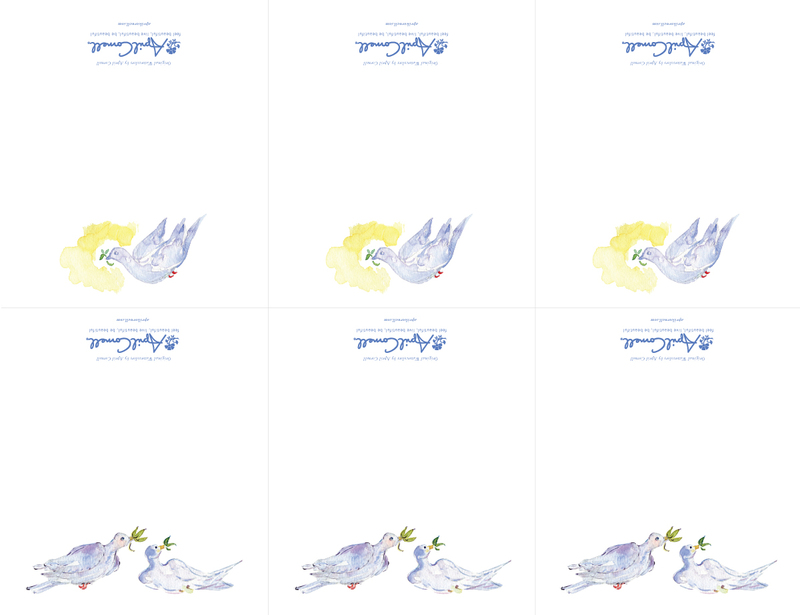 The following link will open the Doves of Peace Place Cards PDF file into a new browser window. Once open you can save this PDF file to your computer and print as many copies as you need. Make your holiday table unique with these artistic hand painted placecards. 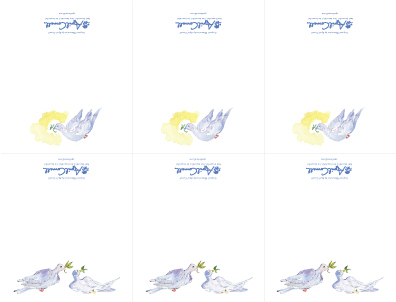 Each page contains 3 placecards with different images on each side.